Browse our website for the best quality Moroccan Moorish style metalwork, Spanish colonial, Islamic pattern metalwork including wrought iron window grills, and jali screens. Each product is handcrafted by master artist and it is custom made to order to your specifications. 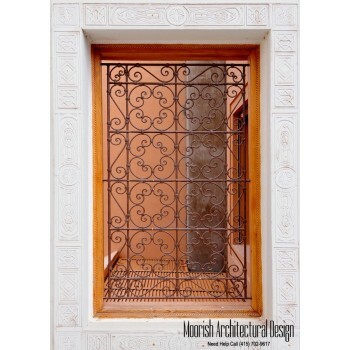 Moorish Architectural Design company specializing in custom handmade Moroccan style wrought iron grills, Spanish window grills, Mediterranean wrought iron grills. We offer a large selection of patterns and designs for you to choose from. 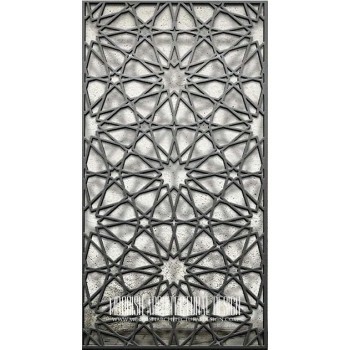 Browse our great selection of metal Jali screens. Our Jali screens patterns are geometric in design handcrafted using Fretwork, an interlaced decorative design that is either carved in low relief on a solid background, or cut out with a fretsaw, coping saw, jigsaw or scroll saw.